I was fortunate to order one of these as soon as it was announced. As an Amazon Prime member, I was able to buy the Fire TV Stick for $19 during a two day sale. I figured, for that price, I might as well test it out! Below are some of the Fire TV Stick positive features and advantages over the competition. Awesome, irresistible price for Amazon Prime users. I got it for $19 during the two day sale. Included remote doesn’t support voice search. That remote costs extra. Would be nice to have a second Fire TV Stick model that includes the voice search remote, rather can requiring us to buy a second remote. Probably won’t be able to use universal remotes with this unless Logitech offers a compatible device. Not as fast as Fire TV, but since the Stick is so much cheaper, this is not really an issue. Limited compatibility with older Android devices. Arrived associated with my Amazon account. You can change this of course. Just keep this in mind if you are sending the Fire TV Stick as a gift. Unlike the Chromecast, the Fire TV Stick may complain if you connect its power port to a USB port on your TV instead of using the included AC power brick. Chromecast is cheaper these days. It’s a very capable device. It currently has a few notable content sources that Fire TV Stick doesn’t have, including HBO Go and Sling Player. It doesn’t have a remote and I find the user interface to be a little clunky. Amazon Fire TV Stick has a remote and a very quick and easy to use interface. Your non-technically inclined family members will find the Stick easier to use than the Chromecast. If you have Amazon Prime, it’s a no brainer. Chose the Stick over the Chromecast. The Fire TV is faster, includes voice search, has more RAM, has more storage, has an Ethernet port, and can play more games. It’s also more expensive (although there are discounts on them all the time). The Fire TV Stick is more portable. It’s also a lot cheaper, especially if you are an Amazon Prime member and got the initial $19 price. 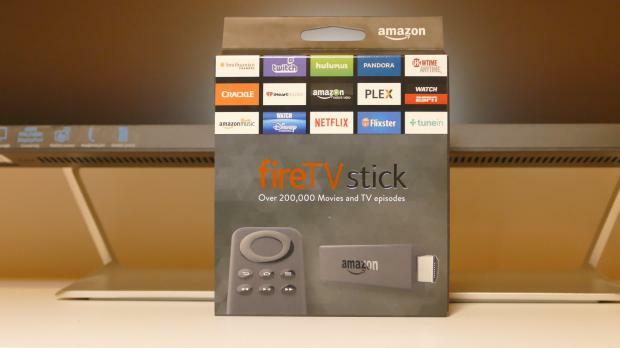 How do I Rank the Fire TV Stick? I really like the Amazon Fire TV Stick. At only $19 for Amazon Prime members (during the 2 day sale), I REALLY, REALLY LIKE Fire TV Stick. Its interface is faster and easier to use than my HDTV’s built-in Amazon app, plus it includes a lot more video sources. It’s really the best way to view your Amazon content on a TV. The interesting thing is, Fire TV Stick has convinced me to buy the more expensive Fire TV too. I want to have the voice search and the faster interface on my main HDTV. I plan to take the Fire Stick with me when I travel for work or travel to visit family. For Amazon Prime members, and for anyone that has a few Amazon movie/TV purchases, the both the Fire TV and the Fire TV Stick are must have devices and great stocking stuffers for this Christmas. It’s a nice little video streaming device. At only $39, it’s a nice value. It provides an easy and inexpensive way to cut the cable. Thank you for your review. Please tell me, will this product allow me to use my TV as a monitor for my laptop for regular computing tasks? Does the Fire TV stick allow me to download from Put Locker streaming site? Thanks for all your helpful comments.